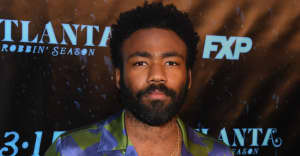 The first episode of the second season of Donald Glover’s hit show included songs from Tay-K, Yung Bans, Death Grips, Jay Critch, and more. On Thursday night, Atlanta made its long-awaited return to the small screen with the premiere of its second season — also known as Robbin' Season. In the first season, the creators of the show established a tone with key music choices, seamlessly weaving contemporary favorites like Cousin Stizz as well as ATL stalwarts like OJ Da Juiceman into each episode. The new episode — which cast Katt Williams as Paper Boi's unstable, alligator-owning father — opened with tracks from Tay-K, and concluded with Curtis Mayfield's "When Seasons Change." The episode also included tracks from UGK, Jay Critch and Rich The Kid, Death Grips, Yung Bans, and more. Listen to a playlist of every song featured in the premiere of Atlanta: Robbin' Season below via Apple Music. Find out how the songs you love make it onto Atlanta.